Take a bite into your favorite baked goods without worry. 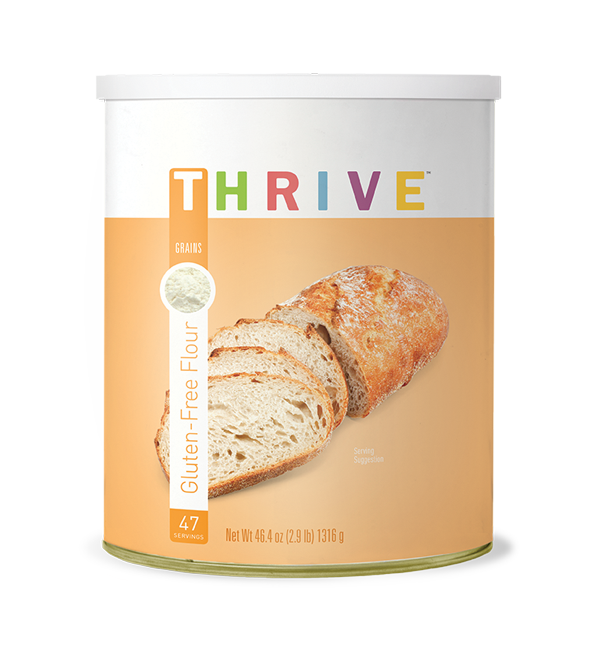 Thrive Life's Gluten-Free Flour helps you easily adapt any recipe to meet your dietary needs. As an all-purpose blend, use our Gluten-Free Flour as a one-to-one replacement for soft, glutenfree, and non-GMO baked goods. Brown Rice Flour, Rice Starch, Potato Starch, Xantham Gum, Locust Bean Gum.